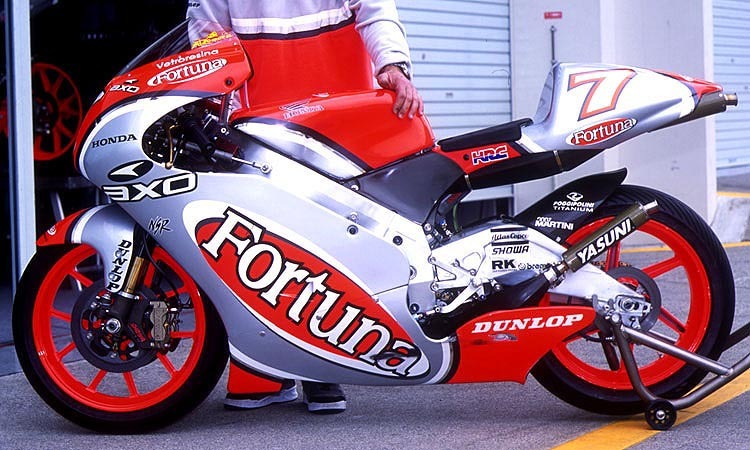 To complement our range of bodywork for the NSR250, TYGA have launched a new upper cowling modeled closely on the NSR250 GP race bike of Roberto Rolfo. To show this, we decided to build a road going Rolfo Replica based on the MC21. 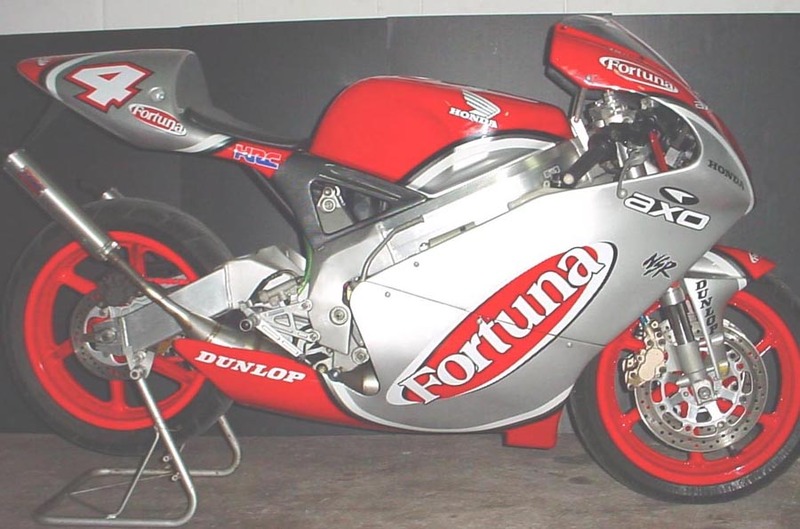 The donor bike was a complete MC21 SP which was quickly dismantled and rebuilt to a very different spec. The motor is pretty much stock at the moment because the emphasis was on appearance. 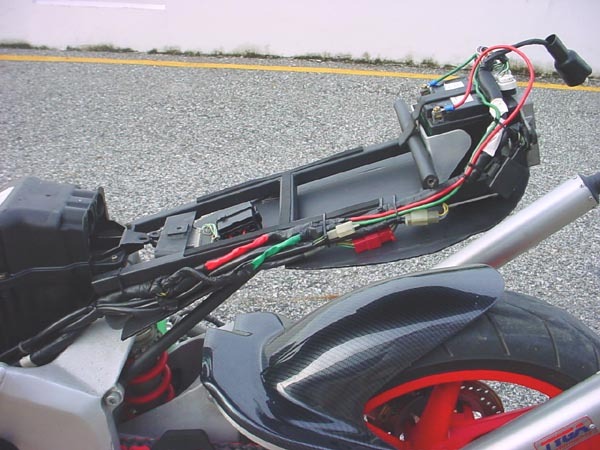 Being a street bike, the bike runs with original autolube and ignition system. 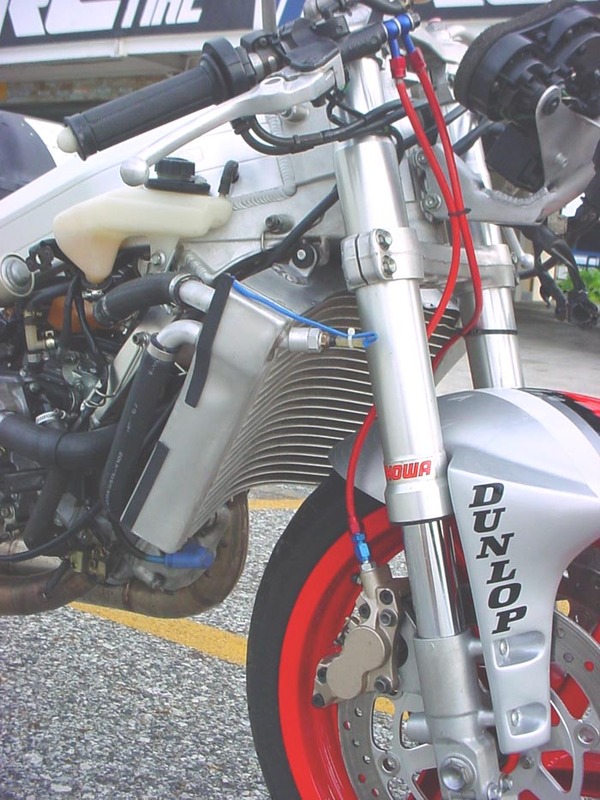 The airbox was modified and the carbs jetted to suit. 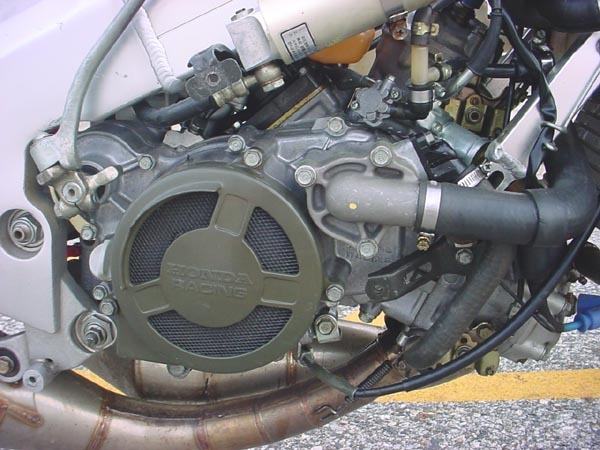 Motor uses special high flow F3 waterpump cover and hose linked to triple core F3 radiator. 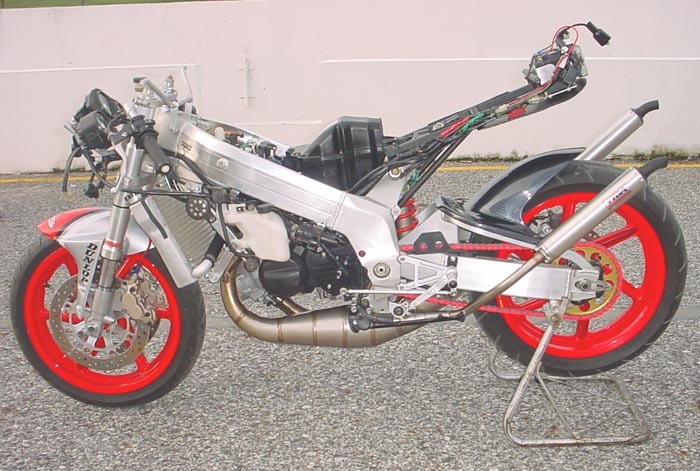 The chassis has been heavily modified too. 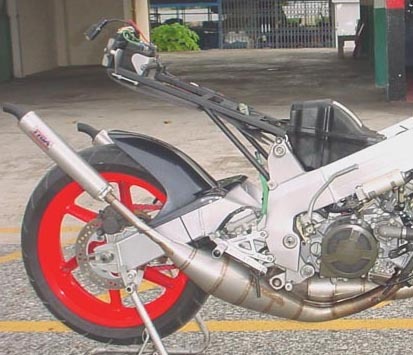 The most obvious change is the Honda RS250 front forks and triple clamps which are fitted with a custom lightweight aluminum TYGA steering stem. The brake calipers are also RS250 Nissins with quick release pins squeezing on 296mm rotors. 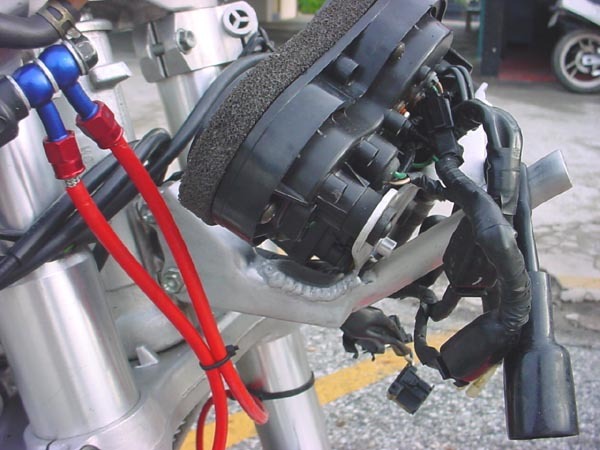 The master cylinder is 5/8" for extra power compared with the stock 14mm version and the system connected with braided brake lines. 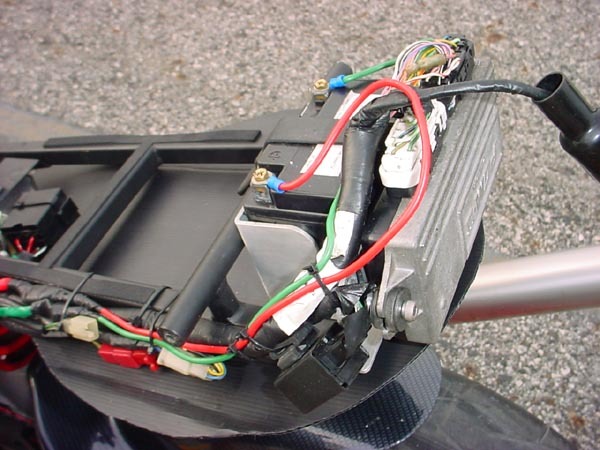 The ignition lock has been moved down to the side frame rail where the helmet lock once lived and, apart from the lack of a steering security lock, is a lot more tidier for it. 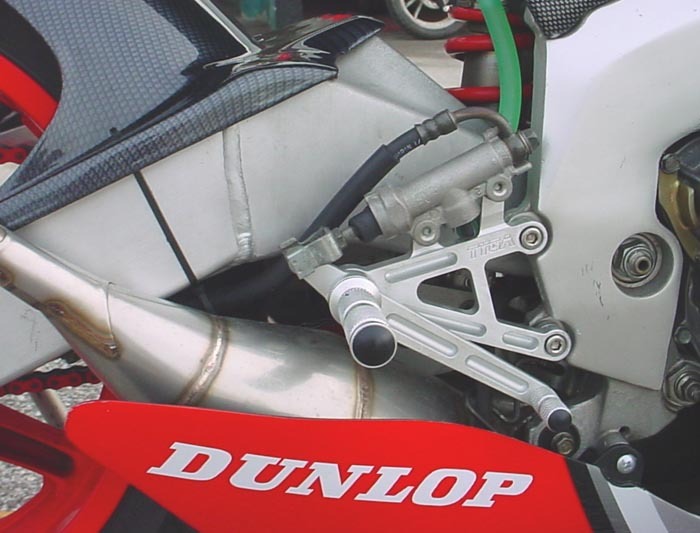 Rear suspension was kept stock with SP three way adjustable remote gas rear shock . 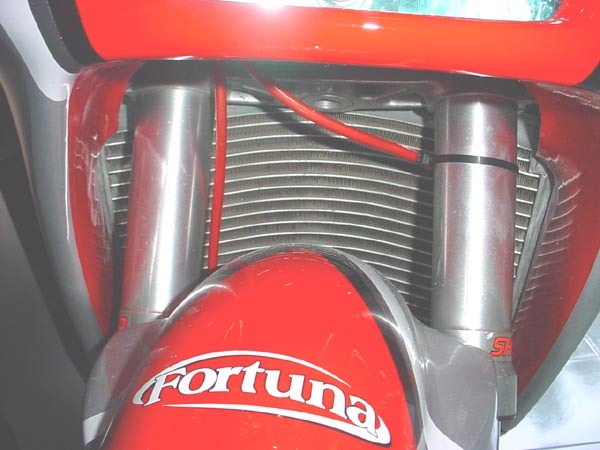 Rear brake is stock too except for the brake reservoir which has been replaced by a lightweight HRC tube. 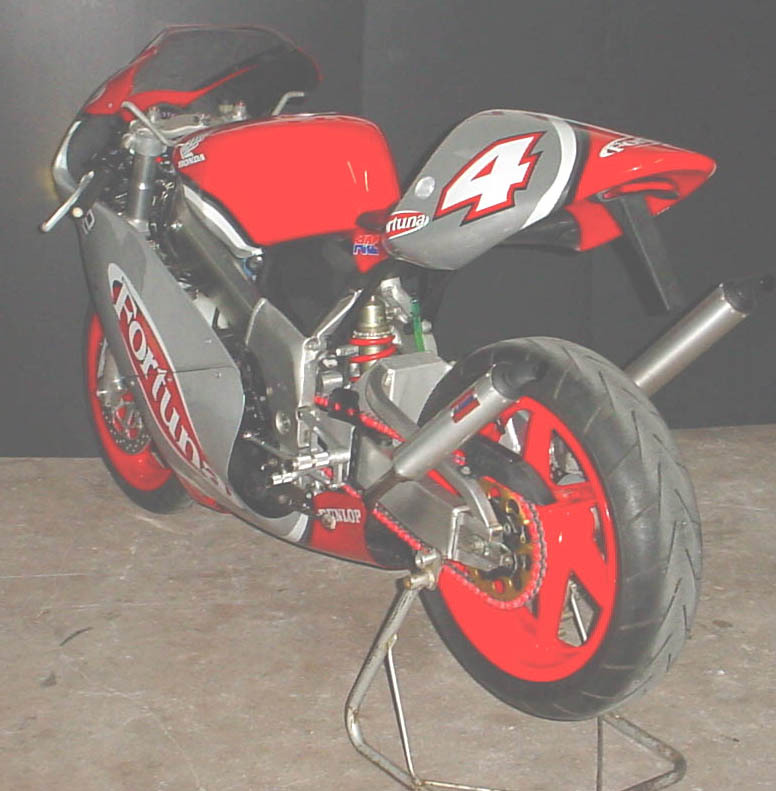 The CNC machined Step Kit is by TYGA as are the meter stay, GP upper fairing stay and paddock stand bobbins which are all made out of lightweight aluminum. 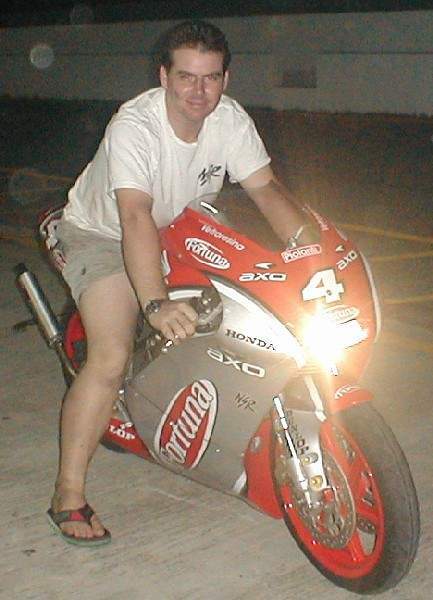 After all this was done, it was time to clothe the bike. 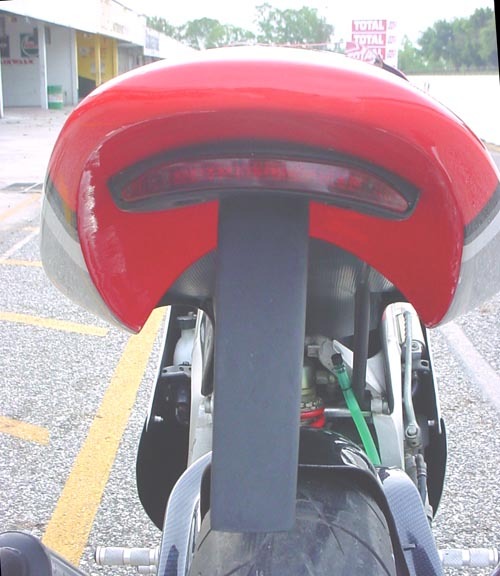 The seat cowl is the TYGA GP Race Tail fitted with the LED tail light assembly. 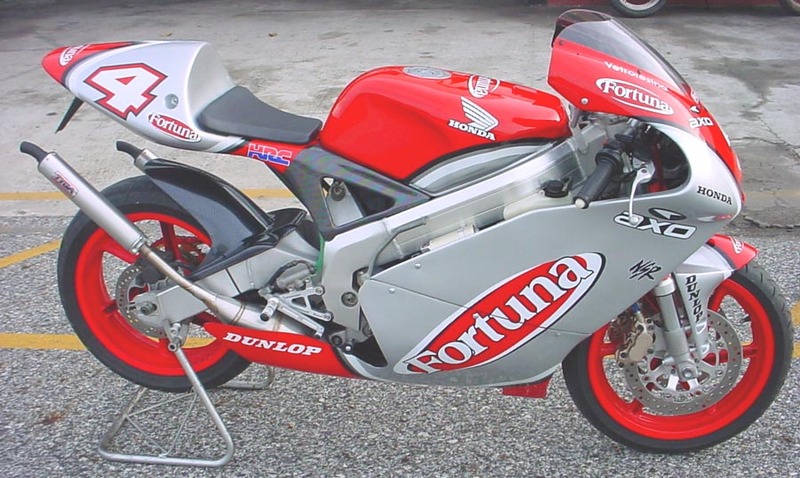 Remember this is a street bike! 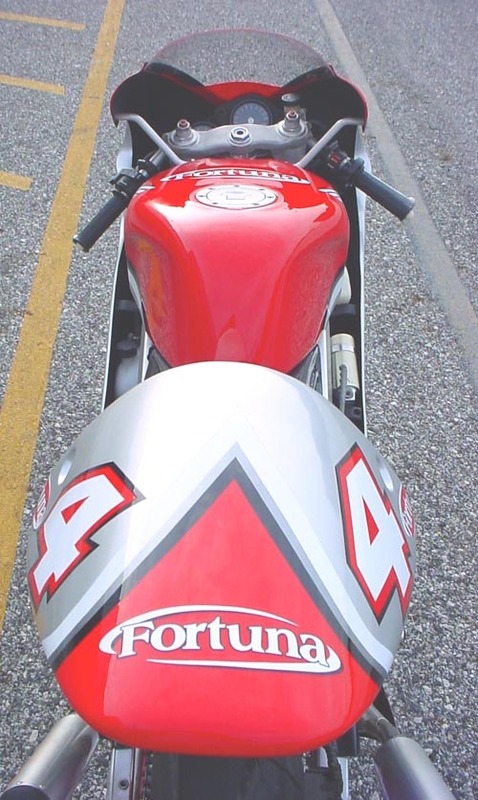 Fairing is the new GP250 upper mated to the TYGA GP Lower Cowling and an optional headlight fitted in the ram air duct. The screen is unique to this bike. 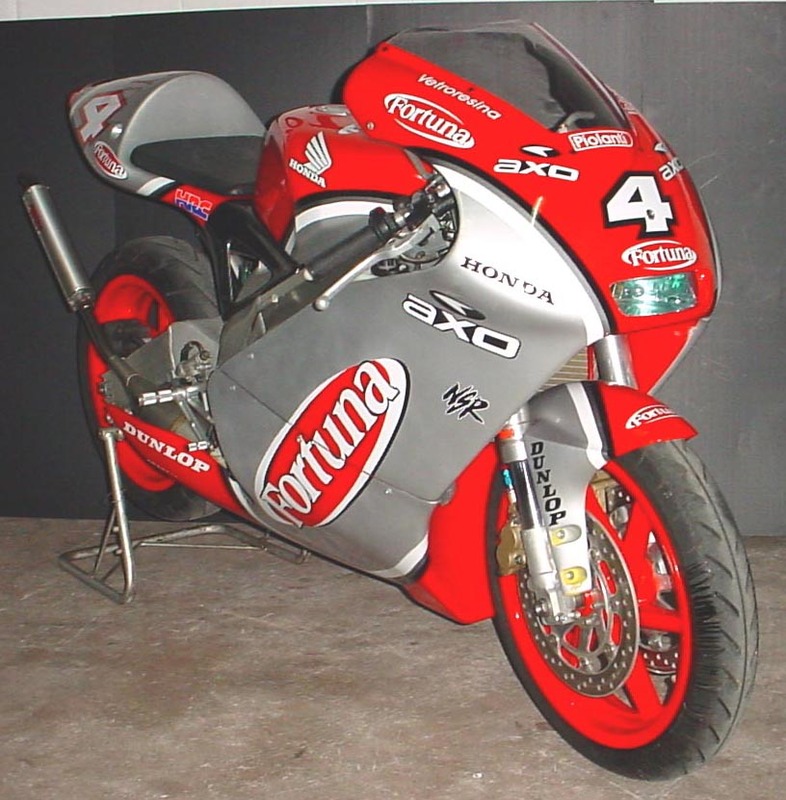 Well nearly... the mold was taken directly from a screen from Emelio Alzamora's 2001 NSR250 GP bike which he kindly donated to the cause, so the screen is compatible with anyone out there with a GP250 NSR! 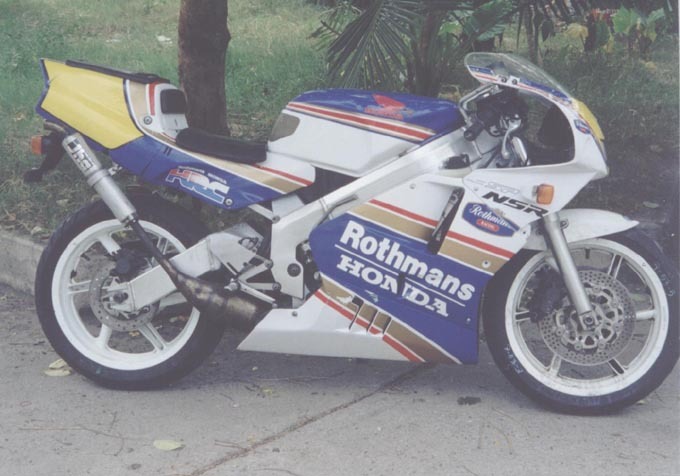 The front fender is RS 250, so we take no credit for that, but we can supply you with a GP front fender if you like the GP look but have a stock front end to your bike. 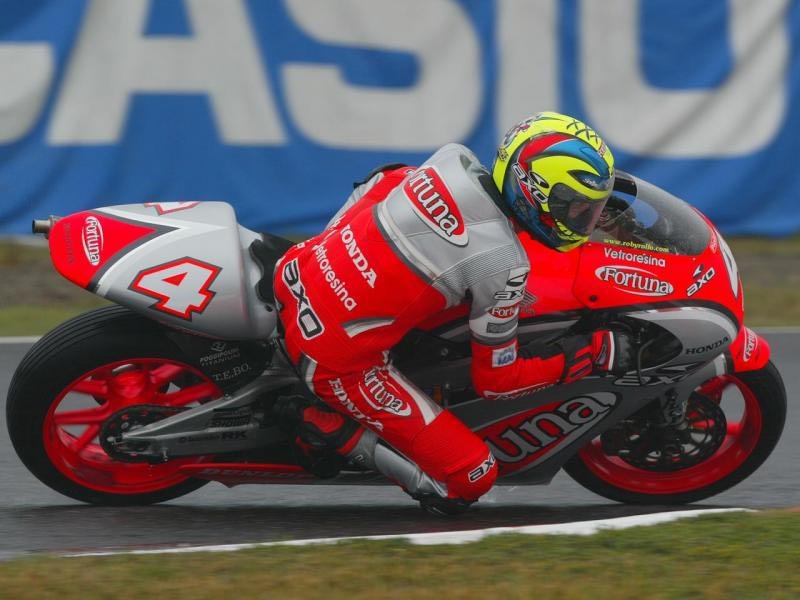 Compare the bikes of Roberto Rolfo,(the other #4 without lights!) 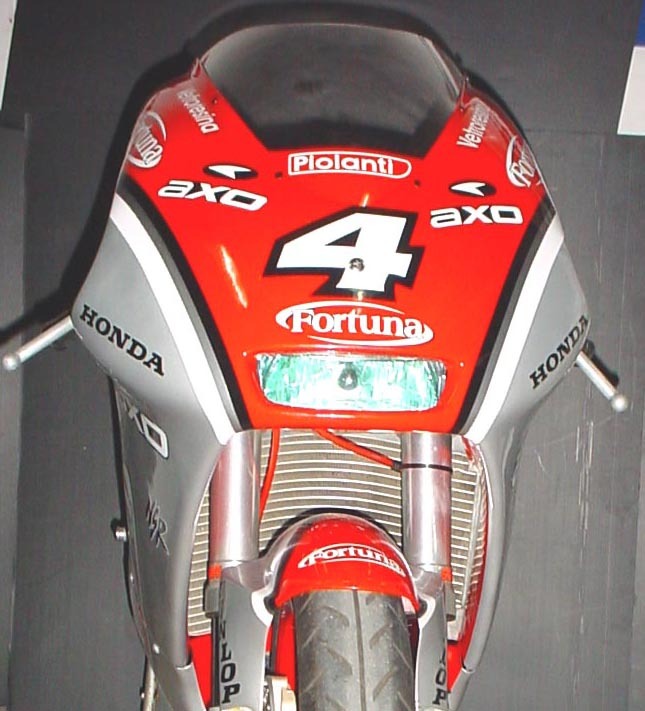 and Emelio Alzamora #7 with TYGA's replica.That's what you call a real race replica! So how about the riding impressions? 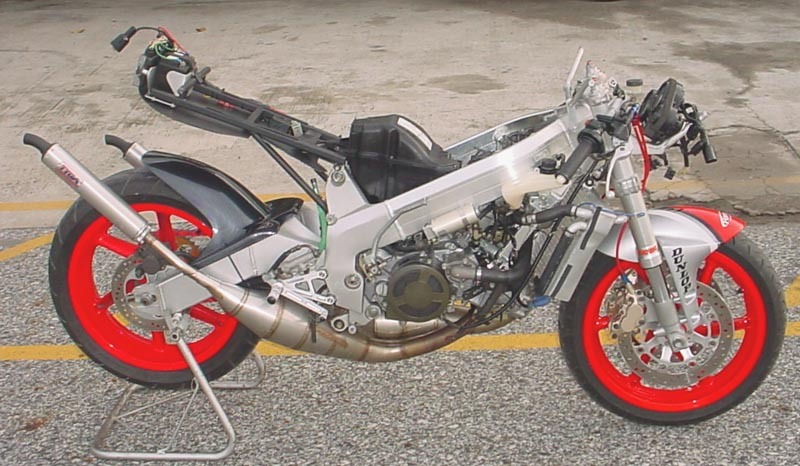 Well, the first thing you notice is the higher seat and pegs for a more natural racing position. The bars are pretty radical too, but comfortable enough on the move. 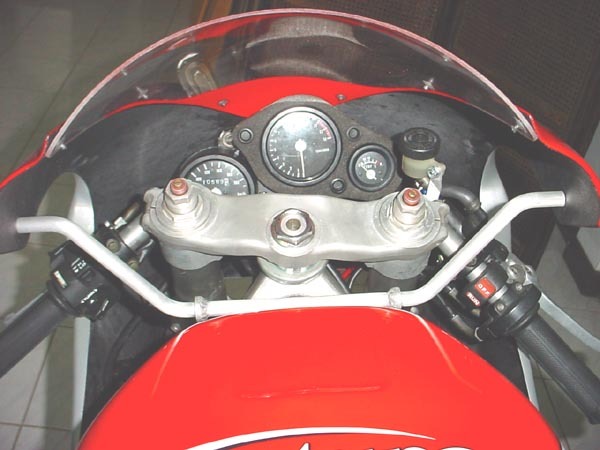 The steering lock is limited by those huge forks, but this is more than compensated for by better suspension and stronger braking. 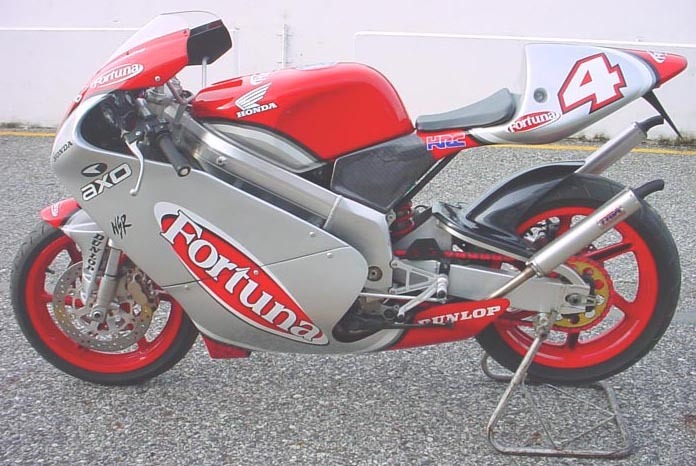 The biggest thing though, that lets you know that you are not riding an ordinary NSR, or bike for that matter, are the stares you get when your riding and the attention the TYGA Rolfo Replica receives when parked up. Like I say, not for those who like to run with the herd. Picture shows highly trained professional wearing full safety equipment for test purposes!